We’re talking about LeAnn Rimes, of course. The country crooner actually stepped out sans make-up last Sunday. She was all au naturel for the world (or at least, the photogs) to see. And get this, the absence of make-up wasn’t the only thing that was different about LeAnn. She wasn’t dolled up either. No skintight or revealing outfits, and definitely no sky-high heels (and we all know how she loves to travel in heels). LeAnn was in her most basic element as she arrived at LAX with her crew to catch a flight last week. It definitely looked like she lost her stylish mojo, but perhaps the singer was simply feeling a bit under the weather. Besides, at least she took the time to smile at the cameras and accessorize. Bamboo-framed sunnies, a red micro Givenchy Nightingale purse, and a sensible grey circle scarf turned LeAnn’s look from boring to passable. You have to admit, a sweatsuit is the most comfortable outfit you can wear when taking a plane ride, so it can be tempting to give in and forego dressing up. However, we think looking chic while staying comfortable as you travel is a must. You never know who you’re gonna run into. Which is why you have to have really great accessories, like a stunning scarf or purse. Would you agree? We like to fly with the softest and coziest of scarves in tow. We bring the big ones that are beautifully printed and colorful so they double as blankets when necessary. And most importantly, we bring the ones that are lightweight so you can easily tuck them into your purse. Here are some great examples of the kind of scarves we like to carry around when traveling. 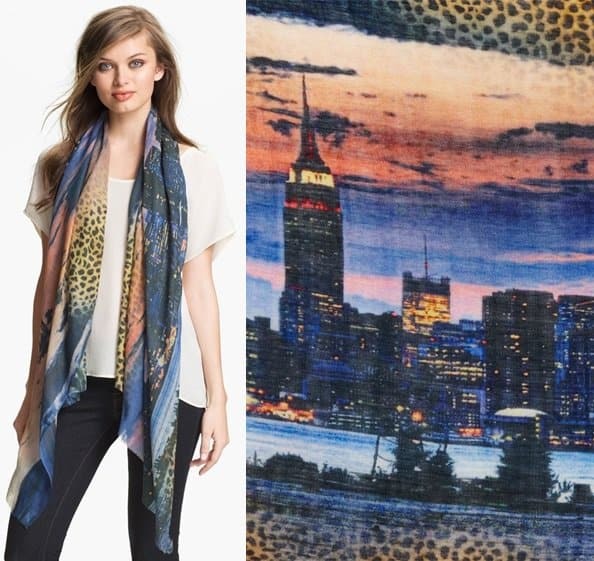 A vibrant and lush scarf features a funky New York skyline edged in unexpected bursts of exotic leopard spots. 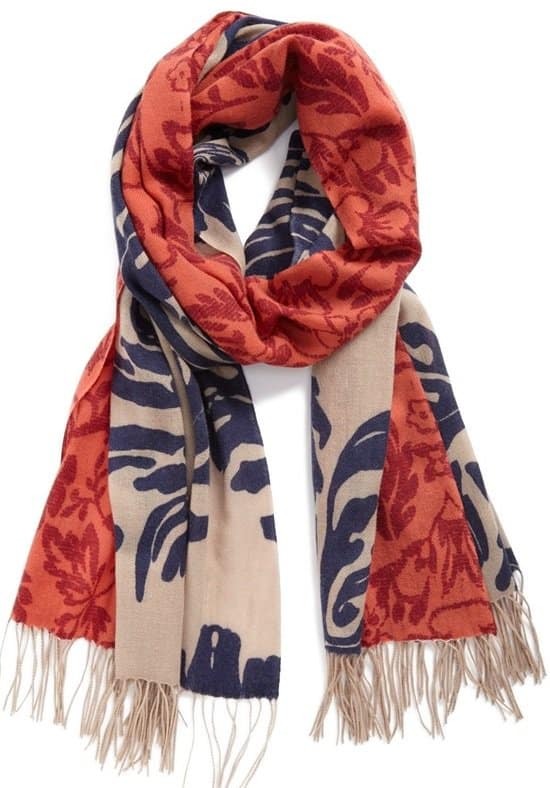 Classic prints pattern a two-tone scarf cast in a soft and cozy blend of wool and cashmere. Bold spots splash across a classic fringed scarf embellished with tiny, silvery accents for a hint of sparkle and gleam.